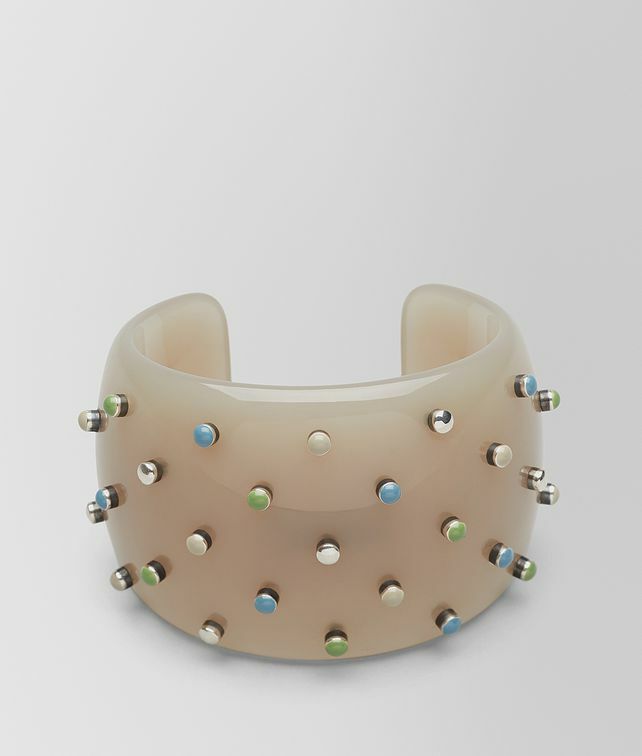 This rounded cuff is made of resin and adorned by silver studs topped with colorful enamel. The organic shape is designed to fit comfortably on the wrist. The cuff is new for Cruise 2019 and coordinates perfectly with the optimistic palette of the collection. Internal Length: 5.9 cm | 2.3"
Internal Width: 4.6 cm | 1.8"
Opening: 2.4 cm | 0.9"
External Length: 7.4 cm | 2.9"
External Width: 6 cm | 2.3"
External Height: 5 cm | 1.9"